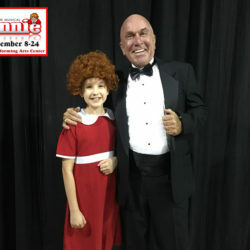 The most recent incarnation of “Annie” is currently in production at Desert TheatreWorks located at the Indio Performing Arts Center. 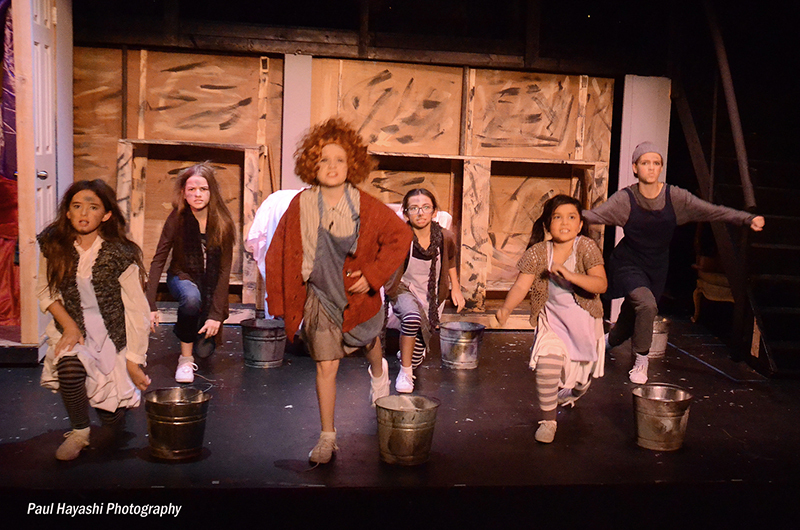 This production, directed by Lance Phillips-Martinez and choreographed by Heidi Hapner, is pure happiness from the opening to the finale. Anytime you find yourself smiling within the opening 30 seconds of a show, chances are you’re going to have a good time. 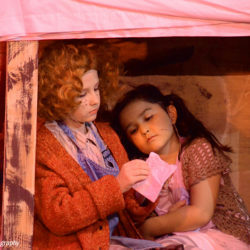 Annie, beautifully performed by very talented Victoria Mendoza, is the story of an 11-year-old orphan who lives with optimism and hope that her ‘Hard Knock Life,’ in a 1933 Depression era orphanage for girls, isn’t going to keep her down. 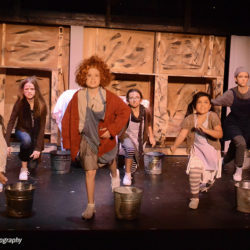 She and the other girls, (Nicole Moya as Molly, Bella Oden as Duffy, Emma Mendez as Pepper, Taylor Graham as July, Violet Feath as Tessie and Adah Burgen as Kate,) have to be some of the most charming young actors to grace the stage. 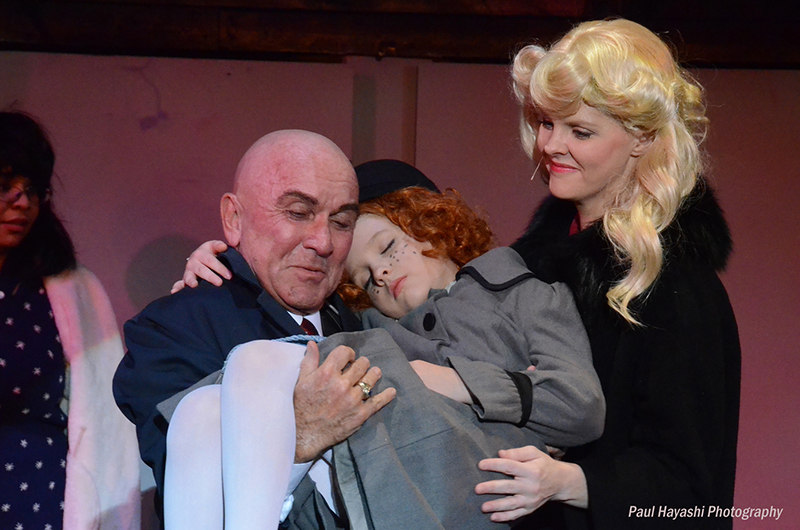 As a wonderful addition to the show it was a true pleasure to see one of my favorite performers, June August, briefly reprise her role as Eleanor Roosevelt. 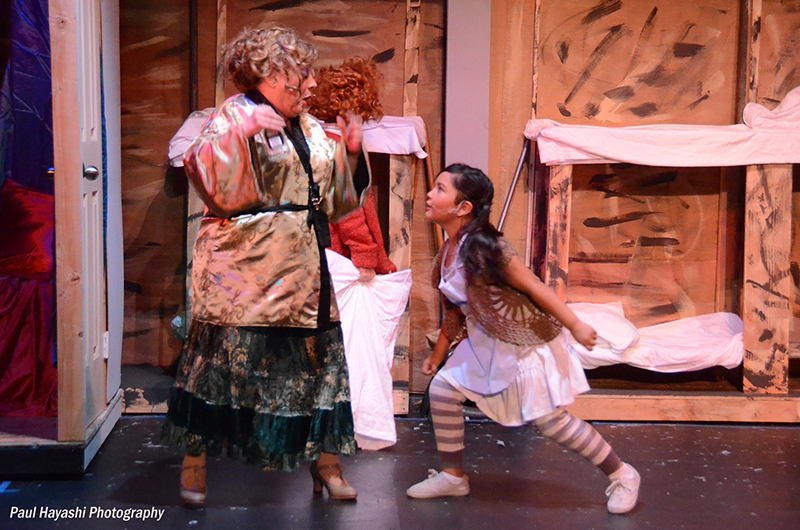 She is a true gem in any production. 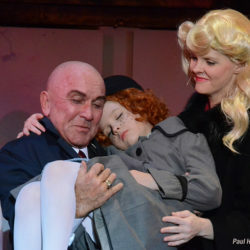 Veteran actor Karen Schmitt, was the quintessential Miss Agatha Hannigan whose oppressive oversight indicated that she was much fonder of her alcoholic beverage than of her juvenile charges. 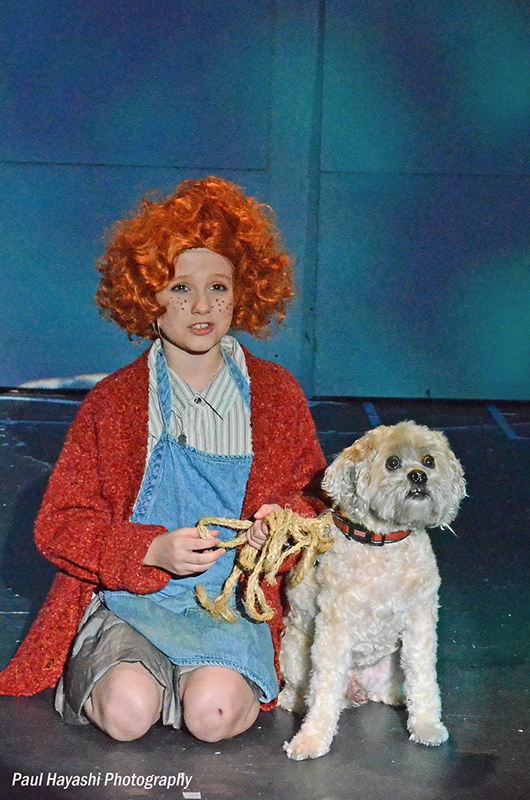 Annie runs away, again, from the orphanage and meets the most adorable new friend, a stray dog she calls Sandy (Buddy Phillips.) 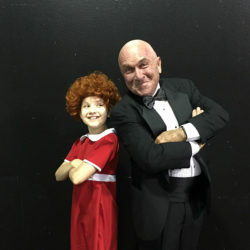 Upon Annie’s capture by the police and return to the orphanage the fates smile on her, as the timing coincides with the arrival of Grace Farrell, (Michelle Mendoza) the private secretary of Mr. Oliver –Daddy– Warbucks, (Stan Jenson.) 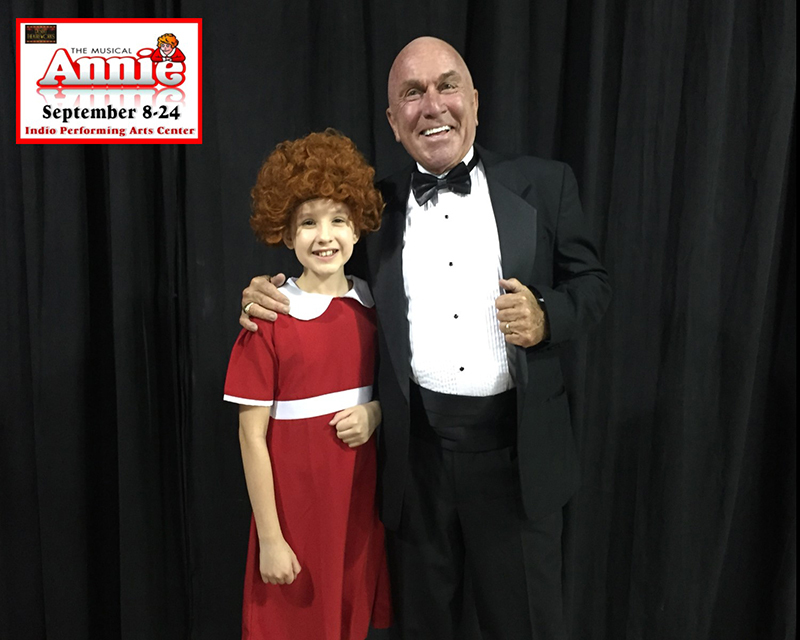 It seems that Mr. Warbucks is looking to share his wealthy home with an orphan for the holidays and Annie fits the bill. 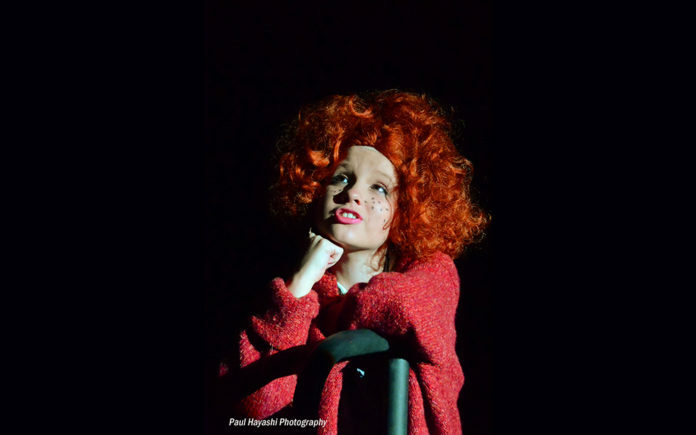 Miss Hannigan reluctantly agrees and the adventure begins. 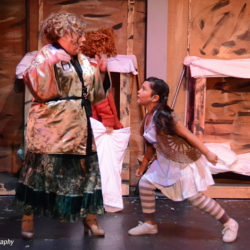 Brian Alec Thom’s musical direction and Jennifer Stowe’s costumes provided the ambiance and details that make this a stellar production. 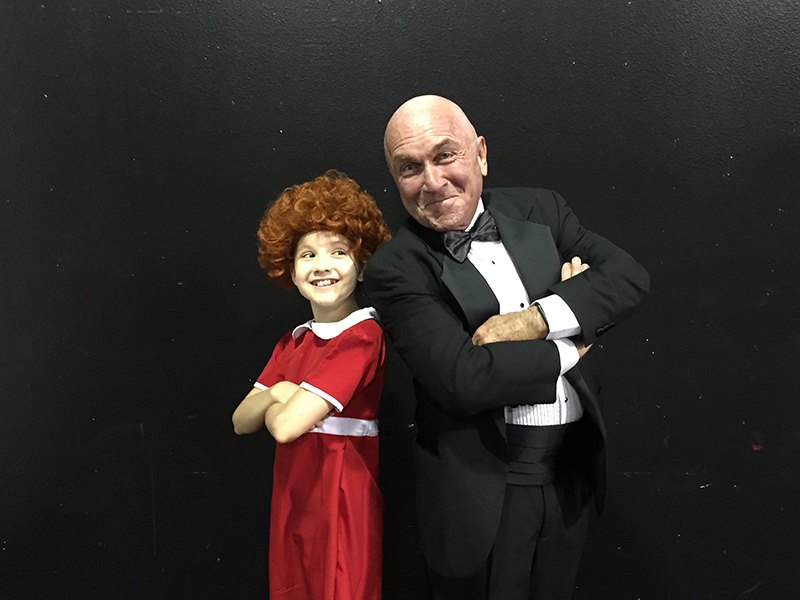 Though I must confess that it was Sandy and his red tie in the finale that truly captured my heart. 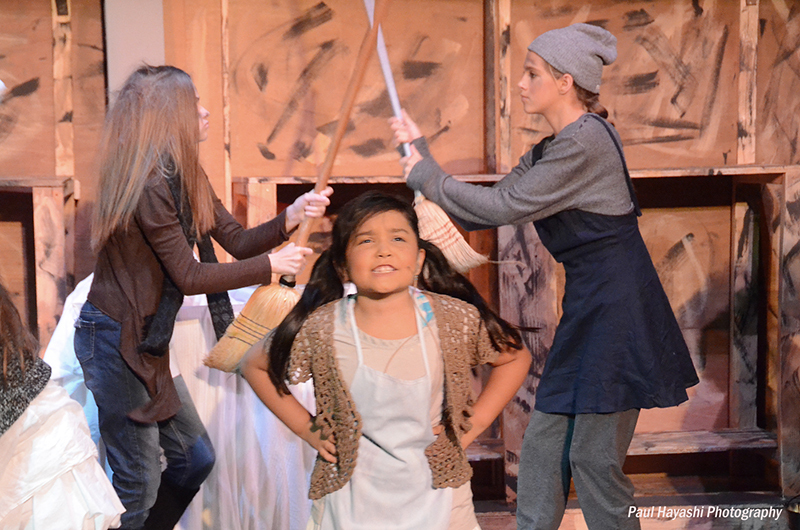 Desert TheatreWorks has an incredible talented ensemble group of actors that they cast for a variety of their shows. 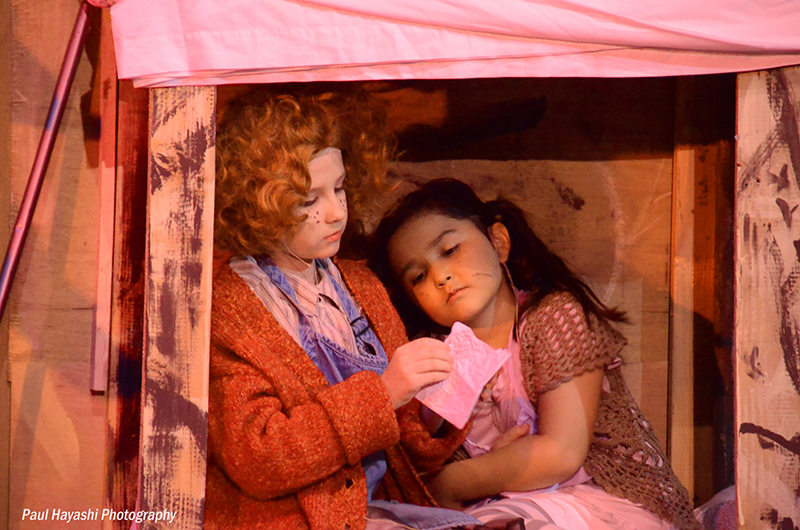 They are truly the heart of theatre in and for the community. Lucille Ball said, “It’s a helluva start, being able to recognize what makes you happy.” It isn’t much of a spoiler to say that this story has a happy ending. 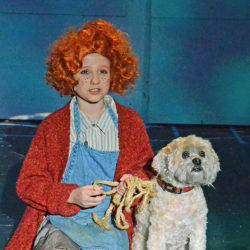 Annie’s theme song, “The Sun Will Come Out Tomorrow,” paints a picture of hope springs eternal and dreams do come true. Who couldn’t use a little more of that? Dee Jae Cox is a playwright, director and producer. 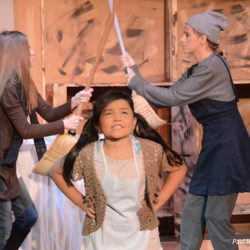 She is the Cofounder and Artistic Director for The Los Angeles Women’s Theatre Project www.californiawoman411.com. Next articleSonic Opens In Indio!